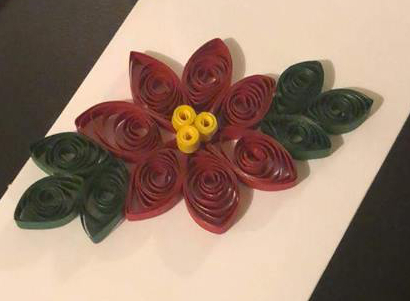 For our November meeting, our own Ximena will be teaching us the basics of paper quilling, a beautiful papercraft technique. You will then have the chance to apply your new skills to making gorgeous holiday cards to take home with you. All materials are provided and we will have mulled wine available as a festive treat! Visitors are always welcome; we request a suggested donation of £5 on the door to help cover costs. We will be in our normal hall – directions here. Hope to see you there!